Kohl’s is having a blow out sale on men’s sweaters! Shipping is 99¢ per item. Plus, use coupon code: TWENTY4U to get an extra 20% off! 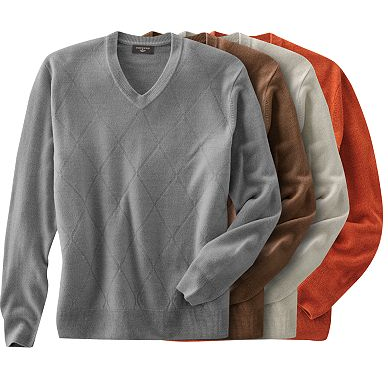 The Dockers Solid Argyle V-Neck Sweater above is marked down to only $2.52! Retail for this sweater is $42.With shipping included your total will be $3.01 (not including cash back!). Plus, go through ShopAtHome or Ebates and you’ll earn 4% cash back and a $5 sign up bonus if you are new! Sign up/in (ShopAtHome or Ebates), type Kohl’s in the search bar and click Shop Now! Thanks, MojoSavings.